WASHINGTON, DC, November 17, 2010 (ENS) – Lack of a systematic approach to well safety, numerous flawed decisions, plus technical and operational breakdowns all contributed to the Deepwater Horizon oil rig explosion and massive spill from BP’s Macondo well in the Gulf of Mexico, says a scientific committee of the National Academy of Engineering and National Research Council in a report released today. 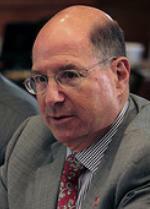 “Important decisions made to proceed toward well abandonment despite several indications of potential hazard suggest an insufficient consideration of risks,” said Donald Winter, former secretary of the Navy, professor of engineering practice at the University of Michigan, and chair of the 15-member study committee. “It’s also important to note that these flawed decisions were not identified or corrected by BP and its service contractors, or by the oversight process employed by the U.S. Minerals Management Service and other regulatory agencies,” said Winter. The committee was convened at the request of Secretary of the Interior Ken Salazar to conduct an independent and science-based investigation into the root causes of the Deepwater Horizon oil spill that amounted to 4.9 million barrels before the well was capped on July 19. The oil spread across a vast expanse of the gulf, causing widespread fisheries closures and fouling hundreds of miles of shoreline and wetlands. Eleven crew members died and 17 others were hurt in the initial explosion April 20 at a site 40 miles southeast of the Mississippi Delta. “It may not be possible to definitively establish which mechanisms caused the blowout and explosion, given the deaths of 11 witnesses on board, the loss of the oil rig and important records, and the difficulty in obtaining reliable forensics information from the Macondo well,” the committee says in its peer-reviewed report. Decisions that contributed to the accident began with continuing abandonment operations at the Macondo site despite several tests that indicated that the cement put in place after the installation of a long-string production casing was not an effective barrier to prevent gases from entering the well, the committee said. “The decision to accept the test results as satisfactory without review by adequately trained shore-based engineering or management personnel suggests a lack of discipline and clearly defined responsibilities,” the committee reported. “Timely and aggressive action to control the well was not taken, and for unknown reasons, hydrocarbons were funneled through equipment that vented them directly above the rig floor rather than overboard. These conditions made ignition “most likely,” the report says. Finally, the blowout preventer did not seal the well once activated. The report also notes that a previous loss of hydrocarbon circulation in the Macondo well on March 8, more than a month before the accident, presented an opportunity to take actions to mitigate future risks. The committee said the type and volume of cement used to prepare for well abandonment and the time provided for the cement to cure may also have impacted the well’s integrity. The federal government came in for a share of blame in the committee’s report, particularly the Minerals Management Service, MMS, which the committee found “did not have a formal training and certification program for its inspectors.” MMS was responsible for review and approval of permits and plan for the drilling and completion of the Macondo well. Federal agencies lacked information about what other agencies were doing, the committee found. As the flag state of the Deepwater Horizon, the Republic of the Marshall Islands was responsible for conducting safety inspections and surveys and monitoring compliance with national and international safety standards. The American Bureau of Shipping and Det Norske Veritas, two classification societies, conducted surveys and audits required for issuance of certificates on behalf of the Marshall Islands. The U.S. Coast Guard had responsibility for ensuring the Deepwater Horizon met the safety requirements for rigs operating in the U.S. Outer Continental Shelf Region. The testimony he cites was given at the Marine Board of Inquiry hearing into the incident on May 12, by Capt. Thomas Heinan, deputy commissioner maritime affairs, Marshall Islands; and the May 26 testimony of John Forsyth, assistant chief surveyor, American Bureau of Shipping. 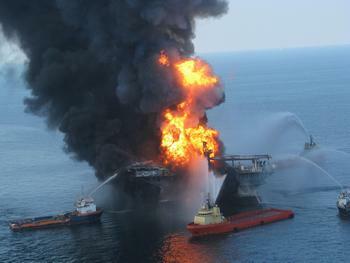 BP and the contractor companies offered no immediate comment on the interim report. For its final report, due in the summer of 2011, the committee will examine ways to establish practices and standards to foster a culture of safety and methods to ensure that schedule and cost decisions do not compromise safety. 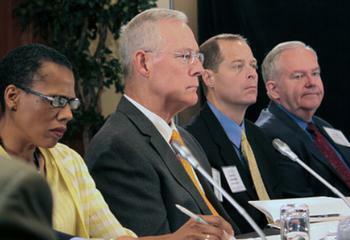 The committee will assess the extent to which there are gaps, redundancies, and uncertainties in responsibilities of multiple agencies and professional societies overseeing deepwater drilling operations, and it will consider the merits of an independent technical review to provide operation checks and balances by enforcing standards and reviewing deviations. The Macondo well’s blowout preventer was only recently recovered and is undergoing forensic analyses. 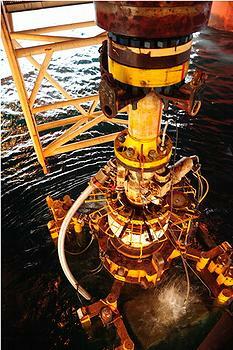 The committee will evaluate possible causes for the failure of the blowout preventer once key data are made available. Thomas J. Eccles Rear Admiral, and Chief Engineer and Deputy Commander for Naval Systems Engineering U.S. Navy, Washington, D.C.